Great info on environmental risk when purchasing commercial real estate. If you are considering purchasing commercial real estate, you should also consider retaining an environmental professional to survey the property. The purposes of such a survey are both to make sure you are not purchasing a contaminated asset, and to protect yourself from liability for the cost of cleanup in the event that contamination is later found. 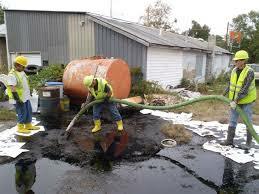 Under the Comprehensive Environmental Response, Compensation, and Liability Act (CERCLA), someone who purchases contaminated real estate may be liable for the cost of cleanup of that property even though he did nothing to cause the contamination and even though he did not know when he purchased the property that it was contaminated. Moreover, liability is what is referred to as “joint and several”, meaning that, if there are multiple parties responsible for cleanup (such as you as the current owner and the person or entity from whom you purchased), each one of them is responsible for 100% of the damages. Thus, if contamination is found on property you purchased, you could be responsible for 100% of the cost of remediation and your only remedy will be to sue the seller for contribution. If the seller cannot be found or is insolvent, you are up the creek without a paddle. Under CERCLA, there is a defense against liability for persons determined to be “innocent landowners.” In order to be found to be an innocent landowner, you must show that the contamination occurred prior to the time you purchased the property, that you performed “all appropriate inquiries” prior to purchasing, and that you did not know or have reason to know of the contamination. Often, the type of survey obtained and the depth of the investigation is lender driven; that is, if you are obtaining a loan for the purchase of the property, the lender will specify what type of investigation it requires. Its decision is based on ensuring that its collateral has value, not protecting the borrower from liability. In limited situations, the bank may require nothing more than a Transaction Screen Process. Transaction Screen’s are becoming more and more rare but may still be accepted by some banks if, for example, the loan amount is small and the property is at low risk for environmental contamination, such as native land in an area the bank believes has not been previously developed. A Transaction Screen consists of limited historical research and government record review, a site inspection and a Transaction Screen questionnaire that is completed by the property owner and occupant. It is often conducted by an environmental professional but, unlike a Phase I environmental survey, can be conducted by anyone, including the bank, a property owner or a broker. A Transaction Screen Process offers no protection against CERCLA liability. In most situations, the bank will require that a Phase I environmental survey be conducted by an environmental professional. During a Phase I, no soil, groundwater or building materials sampling or analysis is done. Completion of a Phase I involves four-steps. First, the examiner will conduct interviews of the current owner and tenant, and adjacent property occupants, to determine how the subject property was used and what contaminants may have been present on or near the property. Second, the investigator will do an on-site inspection to look for evidence of potential contamination, such as industrial products or chemicals on the property, patched drains and noxious odors. The third step in a Phase I survey involves historical research. During this stage, there are several sources the examiner will consult, including: Sanborn fire-insurance maps, produced from 1866 to 1963 to identify fire insurance risk factors in buildings in certain urban areas of U.S. cities;historical aerial photography to determine prior uses of the site and nearby property; local building and fire departments to determine what historical building and underground storage tank permits have been issued; and, hydrological, topographical and geological data to evaluate the risk of migration of contaminants from nearby areas through the soil. And finally, he will consult a reverse telephone directory to identify prior tenants of the property and thereby glean their potential uses. The final stage of a Phase I is to consult state and federal environmental databases to determine if, for example, the subject property is in the vicinity of an identified brownfield site, has been the subject of corrective action directed pursuant to the Resource Conservation and Recovery Act due to hazardous waste being generated on the site, is a state or federal Superfund site, is listed on a state or national database as the site of a toxic or chemical spill or accident, or has underground storage tanks that were previously reported as leaking. In the Phase I report, the examiner will give findings and recommend whether a Phase II environmental survey should be conducted. The purpose of a Phase II survey is to determine if contamination does in fact exist. During this inspection, the examiner will obtain representative soil samples to screen for chemical or metal contamination. In addition, there may be vapor gas sampling, surface or ground water testing, and mold, asbestos, lead based paint or radon testing. 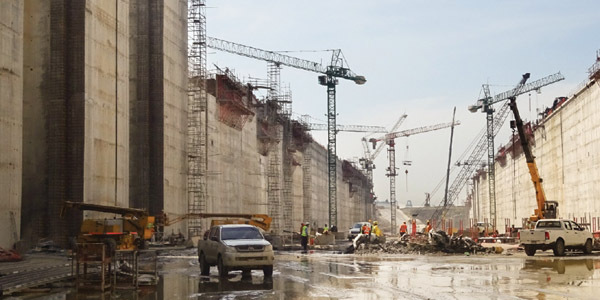 Once it is determined that contamination exists and needs to be remediated, a Phase III will be conducted to define the vertical and lateral extent of suspected contamination and to develop and implement a remediation plan. 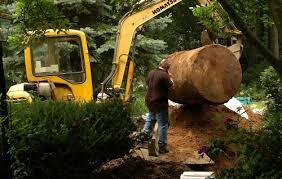 This may include, for example, excavation of a portion of the land or cleaning of a drywell. 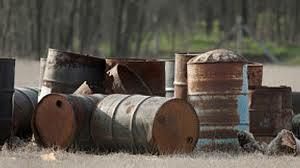 drumsIf there is extensive contamination, a Phase IV survey is conducted to develop a long term remediation plan. An example of contamination that would require a Phase IV survey is groundwater contamination resulting from an industrial spill or illegal dumping of contaminants. A Phase IV remediation plan may take years to implement and cleanup generally occurs until verification samples show contamination within governmentally acceptable standards. If you would like to discuss environmental risks of your property or a property you are considering purchasing, please contact Gail Brown, JD. Many thanks to Jay Turk, President of RAL Consulting, Inc., and Dave Madsen, President of Preferred Environmental, for the invaluable information used in the article. To view RAL Consulting’s website, click here. 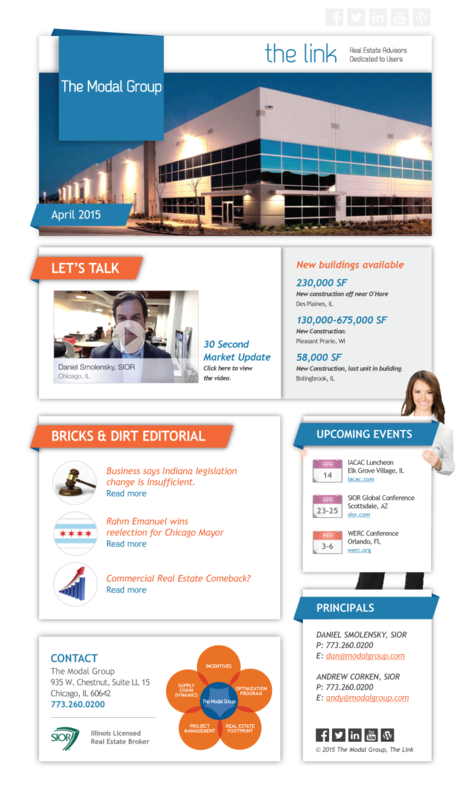 Get an update on Chicago’s Industrial Market in 30 seconds. O’Hare rail crossing delays will soon be over!! Eastbound and westbound lanes on Irving Park Road east of York Rd (Elmhurst) will be closed on March 14-16, 2015 and March 21-23, 2015. BUT this should be the end of the grade rail tracks that has reeked havoc with traffic for nearly 60 years, since O’Hare Airport opened. Two months later on Labor Day, May 25, 2015, after the all concrete and intersection work is complete both the CP and CN rial will be elevated…no more waiting for the trains…supply chains rejoice!! 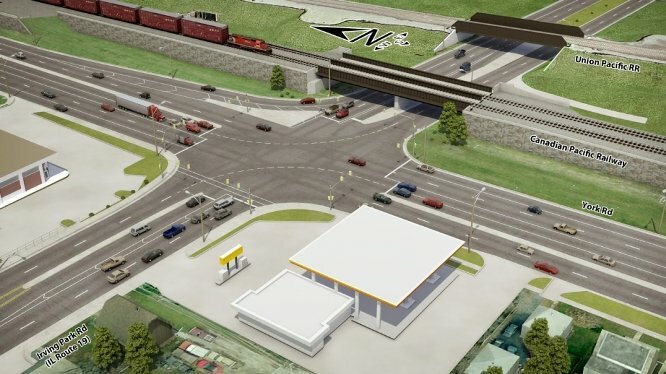 More information on the project can be found by clicking this link to IDOT. Andy Corken, SIOR of The Modal Group highlighted these points from the article called Chasing the Horizon: Countdown to Panama Expansion in Inbound Logisitcs. Click here for a link to the full story. -Initiatives are underway to become a Federal law. Click here to view the entire story. Despicable campaign by Indiana to lure Illinois companies, shows paltry results. Enjoy this article discovered by Daniel Smolensky, SIOR in Crain’s Chicago Business. Many never made it to print, but the ribbing probably sounds familiar. For three years, in an economic development strategy aimed squarely at jobs and revenue in higher-tax states, Indiana has been trying to poach Illinois businesses. While they say the tactic has succeeded wildly, officials in Illinois say the impact of cross-border moves largely has been a wash, more political theater than anything substantive. It all started in 2011 when Indiana spent a paltry $369,000 to line the highway from Illinois with billboards asking drivers if they were “Illinoyed by higher taxes?” Since then, the state has lured—by way of low corporate tax rates, good fiscal health and financial incentives—more than 100 companies to expand or relocate from Illinois. But all that glitters is not necessarily gold. Jobs data show Indiana has a higher rate of growth in lower-end manufacturing compared with Illinois. This, experts say, means Indiana’s strategy may be appealing to companies that are footloose—but also low-wage and low-innovation. “In some ways, it’s the easy way out,” says Howard Wial, executive director at the Center for Urban Economic Development at the University of Illinois at Chicago and a Brookings Institution fellow. “They can say they have attracted jobs. They have healthy job growth. But you have to look at the quality of jobs.” The problem with this strategy, Wial says, “is there is always someone who can beat them in a race to the bottom.” Texas and China come to mind, he adds. Indiana Gov. Mike Pence recognizes 16 manufacturers that will create 2,100 new jobs in his state over the next several years. Joining him at the press conference Dec. 18 are lawmakers, business owners and executives. The recent example of food equipment maker AM Manufacturing could support either side in that argument. Exploring a move to Indiana, the company hit a snag that ostensibly rewarded sheer numbers of jobs over their quality. Mark Van Drunen, AM’s engineering and production manager, says his 35-employee company fell short of the 50-person requirement for certain tax credits, despite wages averaging more than $20 an hour. “I made the argument that I am not bringing 50 minimum-wage employees—I am bringing 30 higher-quality jobs,” he says. In the end, his argument worked. Last fall, with $400,000 in tax incentives, AM moved its factory from south suburban Dolton about 5 miles southeast to Munster. What’s more, Indiana’s personal income tax is not as low as it appears, even with a planned 5 percent reduction by 2017. While the state levy is only 3.4 percent compared with Illinois’ 3.75 percent, factoring in local income taxes can make it nearly equal, if not higher, depending on the county. Smith, a former manufacturing company executive, likes to say Indiana has “a good story to tell” and “armed with the facts,” companies will “make the right decision.” In other words, because Illinois hasn’t gotten its fiscal act together—high debt, exploding pension costs and past increases in personal income taxes—Indiana is going to show folks what they’re missing. 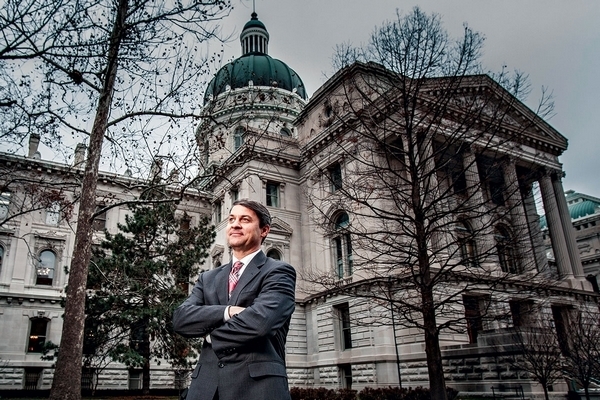 “Indiana just needs a bigger megaphone” is a phrase Smith comes back to again and again. As head of the Indiana Economic Development Corp., a public-private company with about 60 employees and a budget of $75 million, Smith regularly logs 50,000 miles a quarter on the road. Once a month, he travels to Chicago, often in his state-issued Toyota Sequoia, to meet with companies and sell them on his state. Smith earns $162,999.98 a year, according to a state-maintained database of Indiana public-sector employees. On a mission to spread the word about Indiana, Pence and Smith rang in the new year in Israel, and they plan to go to Brazil this year. Kelly Harrington Nicholl, head of marketing at the development corporation since 2009, is the woman behind Indiana’s most memorably catty catchphrases: “Illinoyed” and “Stillinoyed.” But after years of poking fun at its fiscally challenged neighbor, Indiana is about to soften its tone. “We’re not going to beat up on Chicago anymore,” Smith says. Nicholl, 52, says she and her three-person team, comprising a copy writer, graphic designer and events coordinator, do 95 percent of Indiana’s marketing—from coining the catchphrases that line Smith’s office to buying the ad space. “We operate like a mini ad agency,” she says. She declines to give specific spending numbers except to say that Smith has raised her budget since becoming commerce secretary. Despite Indiana’s bravado, the number of state-to-state moves are increasing in both directions, according to an analysis of preliminary data by the Chicago Metropolitan Agency for Planning. 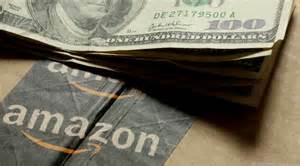 The data, supplied by New Jersey-based research firm Dun & Bradstreet, show 70 companies in Illinois relocated their entire business or branches of their business to Indiana in 2013, up from 40 in 2012. During the same period, 48 companies in Indiana moved all or portions of their businesses to Illinois, up from 39 in 2012. It’s important, too, to consider the size of each state’s economy, experts say. About 5.8 million people worked in Illinois in 2013, compared with 2.9 million in Indiana, according to the Federal Bureau of Labor Statistics. Census data show in 2012 roughly 29,300 new businesses formed in Illinois, compared with about 12,700 in Indiana. And Chicago pulled in more corporate investment projects than any metro area in the U.S. in 2013, according to Site Selection Magazine. Following the press conference, Smith and Pence stop by a local television station to talk up Indiana’s record year, which includes a commitment of $4.4 billion in corporate investment over the next five years, up from $2.63 billion in 2013. Afterward, they head to a tour of Elanco, a division of pharmaceutical giant Eli Lilly specializing in products for animal wellness. Elanco is about to spend $13 million building a vaccine research center. The lab, opening in early 2016, will be 48,000 square feet and employ 75 scientists with annual salaries averaging roughly $60,000. Smith grins. “This is the old farm all grown up,” he says. While Smith admits companies might move to Indiana without the snarky billboards and print ads, he says the efforts of his team work as a catalyst. “It’s like throwing Miracle-Gro on a plant that is already going to grow,” he says. Wall Street Journal reports that The Modal Group platform (tenant-rep) is less conflicted. A new study by George Washington University’s Center for Real Estate and Urban Analysis has rekindled the debate over whether there are conflicts of interest at some of the country’s largest commercial real estate brokerages. Brokers who represent only office tenants have argued for years that conflicts exist at firms that represent both landlords and tenants—and that their tenant clients often suffer as a result. Brokers at the so-called full-service firms that represent both have argued back that such potential conflicts aren’t an issue, partly because they typically disclose such relationships to all of their clients. The George Washington study, written by Peter Smirniotopoulos, an adjunct professor, supports the critics of the full-service firms, arguing that conflicts may not be resolved through current disclosure practices. Executives at full-service firms who have read the study, which was released late last month, have challenged its conclusions, pointing out that their professional ethics require them to represent their clients’ best interests, whether they are landlords or tenants. They also noted that the study was undertaken by the Center for Real Estate and Urban Analysis in partnership with Boston-based Cresa, one of the largest firms that represents only tenants and a big critic of the full-service firms. Mr. Smirniotopoulos, who also is a consultant in the real estate industry, said in an interview that Cresa provided a “gift letter” that helped finance the research. But the Center has complete control over the study’s scope and objectivity. “It had to be consistent with scholarly work,” he said. New York City long has been at the center of the conflict-of-interest debate because Julien Studley, one of the pioneers of the business of representing only tenants, founded his firm here. Earlier this year, that firm was acquired by Savills PLC in a deal that valued Studley at up to $260 million. While Savills is full service, its U.S. division—now named Savills Studley—has remained a tenant-only shop. 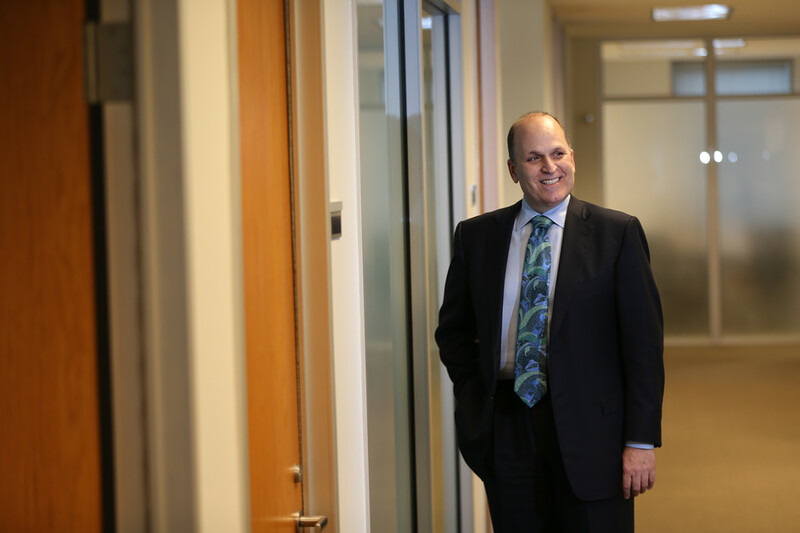 Cresa’s office in New York has been a relatively small player, but it has grown since it was taken over by Mark Jaccom, who worked at Studley at an earlier stage in his career. Mr. Jaccom said the New York Cresa office employs about 45 people and will represent tenants in about 1.5 million square feet of deals this year, up from 600,000 square feet in 2013. The deals brokered by Cresa this year included Affinity Health Plan’s lease of about 95,000 square feet of space at Simone Development’s Metro Center Atrium in the Bronx, Mr. Jaccom said. Brokerages that only represent tenants use the conflict-of-interest issue to lure business from full-service firms. “You question how hard [full-service firms] push the landlord who gives them tens of millions of square feet of business for a tenant looking for 20,000 square feet,” Mr. Jaccom said. But executives at the firms with the largest offices in New York say that tenants clearly like the service they get from full-service operations. Executives at the top firms also pointed out that tenants get more insight into the market when brokerage firms also represent landlords. “Having a broad perspective from all angles in the market coupled with a strong adherence to confidentiality is a clear advantage to our clients,” a spokeswoman for JLL said in an email. Some brokers at full-service firms acknowledged that the potential for conflicts of interest exists. But they said it happens very rarely because both tenants and brokers are becoming more sophisticated. The issues raised in the George Washington report “are valid issues,” said Peter Hennessy, head of the New York region for Cassidy Turley. “But the level of sophistication of brokers is such that they’re able to manage the conflict issue,” he said. The report recommends further study, better self-regulation and the development of a “model code of conduct” in the commercial brokerage industry.